 This year’s Peace Summit Medal for Social Activism will be presented during the Warsaw Summit to Jurek Owsiak. The Medal will be presented during a first session in the course of the 13th Summit of Nobel Peace Laureates starting in Warsaw on Monday. Jerzy Owsiak, founder and President of the Great Orchestra of Christmas Charity (WOŚP) Foundation was born in Gdansk on 6 October 1953. He is the main originator and director of the annual Finale of the Great Orchestra of Christmas Charity as well as the founder of the Woodstock (Przystanek Woodstock) Festival, one of Europe’s largest. The Foundation Owsiak established has for over 20 years been transforming the face of Polish healthcare; over that time, it has equipped hospitals with more than 20,000 medical apparatuses totalling almost $ 140 million. It all started when in the course of his TV show ‘Do As You Wish’ Owsiak encouraged his viewers to support a foundation raising money for medical equipment and based at Warsaw’s Children’s Memorial Health Institute. This resulted in the first WOŚP Grand Finale on 3 January 1993. In March 1993, the Great Orchestra of Christmas Charity (WOŚP) Foundation was registered. ‘Earlier we had not even thought of establishing a foundation. When we invited people to attend the first Finale, we thought it would be just a single happening and great fun meant to yield some measurable benefits. How big benefits? Nobody really anticipated. The first successful Finale allowed to share the raised funds among all the children’s cardio-surgery centres’, says Owsiak. One of the recollections Owsiak often reminds of is the 1st Finale when a woman approached him in the TV studio, took a wedding ring off her finger, and said that it had belonged to her late husband. ‘She was in that studio with a disabled daughter. They did not seem extremely well off….I was totally taken aback when she was handing that ring to me. I didn’t know what to say. It was all wonderful. At that moment what mattered most was not so much the money value, but the emotions’, he explained, as at that point he understood how important that fundraising action had become. Since 1993, the Foundation has annually been fundraising with a specific previously identified medical goal. It regularly plays in early January, enjoying the commitment of thousands of volunteers and encouraging millions of Poles to generously donate. In January 2014, WOŚP will play for the 22nd time. Owsiak is a volunteer for the Foundation serving as its President of the Board. 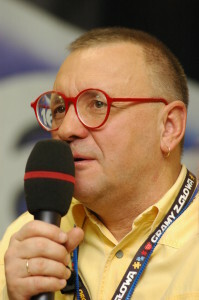 Apart from that he is a radio and TV journalist, and he also runs his daily videoblog at http://owsiaknet.pl/channel/blog. Moreover, he is a stained glass maker and a licensed psychotherapist. He graduated from an Economic Secondary School; he also unsuccessfully tried to follow some artistic studies, as well as such University departments as philosophy, rehabilitation, and psychology. In the late 1970s, he got a permanent job for a stained-glass studio where he became a guild licensed master stained glass maker, after which he set up his own studio, launched notoriously on 13 December 1981; he ran it until 1994 at which point he passed it over to his brother Andrzej. Owsiak has run several radio programmes, while as of December 1991 he also held his public TV show titled ‘Do As You Wish’ which was a rock-and-roll show, changing its name twice in the following years. He is currently focused on the www.owsiaknet.pl videoblog, though he continues to meet with the listeners at 10 PM on Wednesdays on Programme III of the Polish Public Radio. In 1991 and 1992 together with Walter Chełstowski he ran the Jarocion Festival. In 1995, he organized the First Woodstock Festival which since then has become the largest open-air rock event in Poland and Europe. Owsiak is married with two daughters: Ola and Ewa, his wife Lidia Niedźwiecka-Owsiak serving as the WOŚP Medical Director.